We provide very cost-efficient, quick to market solutions to your needs! Mauli Systems, Inc. (MSI) is a leading professional services organization that uses technology to help businesses to improve processes and performance to achieve competitive advantage. We provide end-to-end IT solutions, helping our clients achieve their business goals and address their business problems by implementing the most innovative, practical and cost-effective technology solutions. Our number one priority is to partner with our clients to help them achieve their business objectives. We recognize that every organization is different, every business has some unique problems, so we work with our clients to tailor our services to their unique needs to ensure we meet their project objectives, time frame and deliver the scope within the budget. 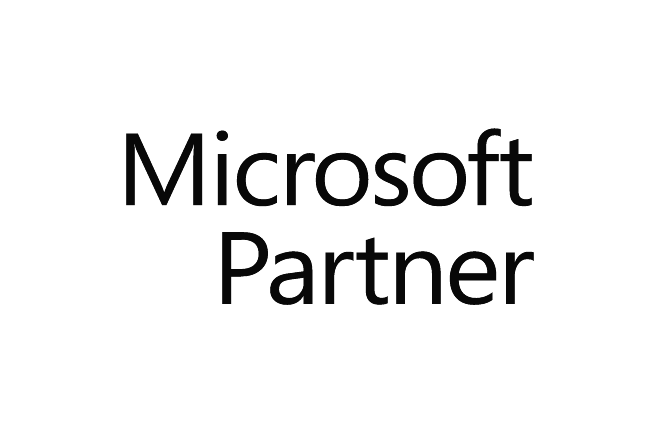 As an Oracle and Microsoft partners with a strong technical and management teams, with proven track record of successful service delivery, MSI is retained as a trusted advisor by many organizations. Our IT experts support on-site consulting projects, while our internal software development team offers remote database design, database programming, client/server and/or Web based application design, testing, and application maintenance support. We also have expertise in migrating legacy systems to the newer responsive technology which supports applications run on any device. Oracle: Developer 2000 (Forms, Reports), PLSQL, SQL, Oracle Application Express (APEX), JDeveloper, Java. Microsoft: Microsoft .Net Platform: Winforms, Webforms (ASP.NET), C#, VB, SSRS (SQL Server Reporting Services). Other tools/templates: Crystal Reports, Jasper Reports, Brackets, Bootstrap. Capacity planning, Logical/Physical Database Design. Data flow (ETL) architecture to flow data on regular or ad-hoc basis from operational systems. Data cleansing and data certification. Autosys scheduling to automate data flows. Building business intelligence, OLAP and reporting environments. Microsoft BI Platform, Interactive Data Visualization using Power BI, Hyperion Essbase. Building ad-hoc reporting solutions using SSRS (SQL Server Reporting Services), Jasper Reports, Oracle Reports. We provide application migration services to modernize your legacy applications built using Oracle Developer (Forms/Reports), Centura, Power Builder, Excel, etc. to New Web-based in-house/cloud application using Oracle Application Express (APEX), Microsoft .Net, Microsoft SSRS, Jasper Reports that Supports Client-Specific Architecture Standards. You can leverage our pre-built framework for rapid application migration. We provide cloud-migration services to migrate on-premise applications, databases, filestores or even the whole data center to AWS (Amazon Web Services) Cloud. Our collaborative, phase-based approach provides the client with immediate results in the form of enhanced scalability, extended operational performance, expanded security and significant cost benefit. Hiring and vetting technical staff can be a lot of work, so we take on this responsibility. Our knowledgeable employees manage your daily technology issues so you can spend time on more critical problems. Augmented staffing can be temporary, during a project that requires an extra body, or a specific set of skills, for example. Often, our employee compliments other services we supply to your company, creating a cost-effective, on-shore, off-shore, comprehensive managed IT services package. We perform a thorough background check on all employees. This includes a criminal record check, education and employment verification. We also run specialized background checks for particular clients to meet their requirements. You get great discounts when you buy licenses from us! Companies spend millions of dollars every year on buying/building MDM solutions, integrating disparate systems, data warehouses, business intelligence (BI) software tools, managing their data. Each of these require data flows from one system/database to another and requires ETL processes. Companies have to ensure that the data is accurate and reflects the same view, does not corrupt any environment if there is any out of balance condition and alerts data administrators. Mauli Systems, Inc has developed a data certification software which can help ensure the data integrity, between systems and/or databases. This system is designed to help you certify data between source and target systems. Certification processes can be automated within the batch system to certify your data during different processing/dataflow stages. In case of outage, data flows (batch processes) can be stopped with alerts. Overall Tolerance (%) can be defined at subject area level or a tolerance value can be defined at summary column level. The system keeps central repository of our data certification results/logs for auditing, with auto purging feature. MSI Stability Study System is quality control data management software for stability, periodic product review tracking, and report generation that emphasize goal of meeting our clients regulatory responsibilities. System can be customized to generate and send email notification based on the due dates. System also allows end-users to build custom reports. MSI Stability Study System is useful to all the Pharmaceutical Manufacturers. MSI Materials Management System facilitates maintaing list of materials, suppliers, storage locations, UOMs related to Materials Management as well as Materials Log data. System allows user to upload and maintain documents and associate with specific Material Log. System can generate and send email notification based on the expiration dates, in-advance based on the period defined in the system. The system also allows end-users to build custom reports. CSSC System is for pharmaceutical manufacturers who participate in MEDICARE COVERAGE GAP DISCOUNT PROGRAM administered by Centers for Medicare & Medicaid Services (CMS). As per the agreement between CMS and pharmaceutical manufacturers, in order for Part D coverage to be available for covered Part D drugs of a manufacturer, the manufacturer is responsible for electronically paying discounts to sponsors and eventually providing payment confirmation to CSSC Operations (Third party administrator – TPA), every quarter. This software facilitates parsing, decrypting, translating and merging Invoices and Sponsors data files downloaded from TPA and then generating necessary output data files for electronically making payment to sponsors and electronically providing payment confirmation to TPA. The system also allows end-users to build custom reports. MSI applications are built using Oracle Application Express (APEX). Some of these applications were migrated from Oracle Forms. Copyright © 2015 Mauli Systems, Inc. All rights reserved.